Could I just say WOW, WOW ! It has been awhile since I have read such a wonderful, touching story ! 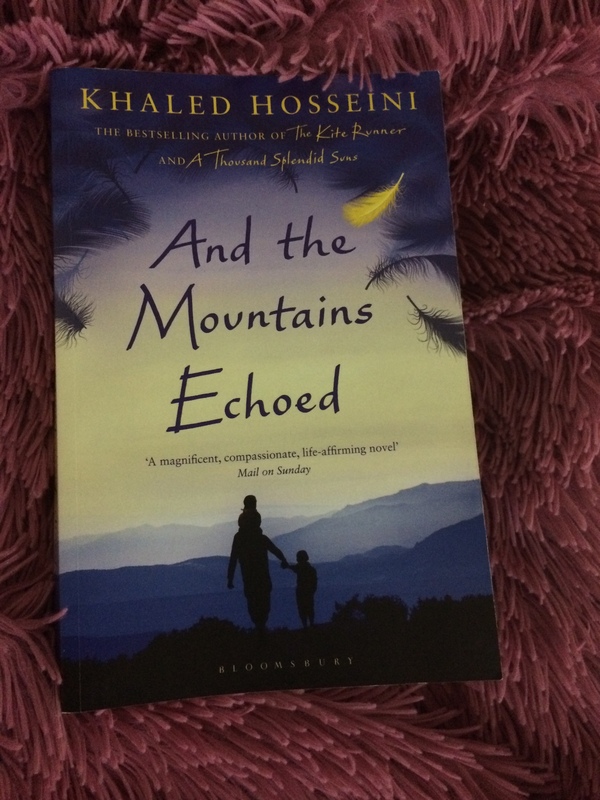 The novel is written by Khaled Hosseini and, hence, no wonder the story is so captivating ! Like his other two novel, The Kite Runner and A Thousand Splendid Suns, this book comes above all “my” expectations. The story is full of characters whose lives are intertwined, and it spans across continents and history. The story starts in 1952 with a simple, poor Afghan farmer, the father of Abdullah and Pari, as he tells his children a bedtime story about a man who lost his dearest son after a monster kidnapped him. The bedtime story then explains how the father learns to forget and proceed with his life without his son. Thus this story sets the whole novel into motion. We know from the beginning that it is not only about love , but about loss and separation, too. In this poem, Yeats suggests that all civilizations are doomed to fall, and out of them other civilizations spring. Thus the action is turning above, as an indication of continuity. On the other hand, I believe Hosseini alludes to Yeats’s image to suggest the opposite. Out of loss “the bird’s loss of its feather” there will result more loss and separation. The story tells about how one action may affect many lives. It examines loss and separation, but never forgets to explore the mighty ocean of love: the love between siblings, and the love between parents and children. Despite all miseries which face all the characters they find within themselves seeds of love. They strive to find and give tenderness to those around them. The most interesting element in the story- and also the main shared element among all their stories- is the way they handle “The Past.” All of the characters are crippled with the past. All of them couldn’t project their present or even future without being haunted with their past.